After finished my studies in Hotel Management at Hotel & Tourism School of Oporto, I did the Post-Graduation in Hotel Management with École Hotelière de Glion-Suisse. 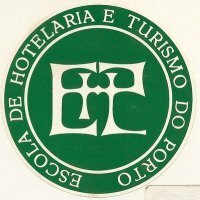 I have worked at the Holiday Inn Hotels, Choise Hotels, Sol Hotels Pousadas de Portugal Historic Hotels and Sopete Hotels. Lately I graduate in Tourism Senior Officer at the Superior Tecnology and Management Institut of Lamego as well I did a E-marketing Master Course with Middlesex University of London. I am really interested for Management & E- Business. My hobby is photography and spend some time with friends and colleages .